The Association for Manufacturing Excellence is featured in Mediaplanet’s “Women in Skilled Trades” supplement in today’s USA Today. 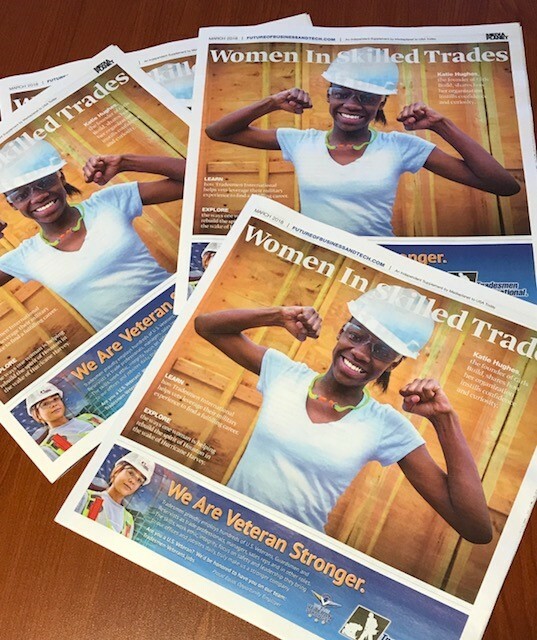 Designed to highlight opportunities for women and girls to pursue careers in manufacturing and the skilled trades, the supplement features stories about women making a difference and shares insights on how women can pursue opportunities in the skilled trades. AME’s contribution to the supplement is an ad promoting AME’s new Emerging Leaders program and AME San Diego 2018. The AME Emerging Leaders program is a leadership development program that enables lean practitioners to participate in problem-solving work groups, network with peers and serve their profession in a leadership capacity. For more information, visit AME’s Emerging Leaders web page. For details on this Mediaplanet campaign, including access to stories about women re-defining the workforce, visit http://bit.ly/2FrydWE.